Amazon Long Island City move politics heat up…. Yesterday we featured a post that reported that Amazon was thinking of walking away from locating it’s international headquarters in Long Island City, Queens , New York…. Today we get several things in response to the story first reported in the Washington Post…. Gov. Andrew M. Cuomo on Friday accused the Democratic-controlled state Senate of “governmental malpractice” for what he said was threatening the multibillion-dollar deal to bring an Amazon headquarters to New York, after a published report that said the retail giant is having second thoughts. 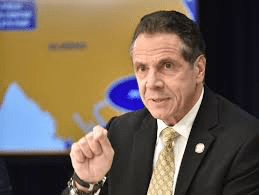 Cuomo said the state and city will provide $3 billion in tax breaks and aid to Amazon, one of the world’s richest companies, while the company would provide $27 billion in tax revenue, adding, “I would do that all day long.” The area is zoned for mixed commercial and residential use….. Supporters of Amazon’s plan to bring a new hub to Queens gathered Monday in front of the Queensbridge North Houses to counter critics who say the deal has little to no grassroots backing. Their event attracted a diverse — and unlikely — mix of about a dozen people to the Long Island City public housing complex and included tenant leaders, a representative from the pro-business Association for a Better New York and Rep. Carolyn Maloney…..